investigation, remediation and long-term management of contaminated sites, and the environmental consequences of energy choices. A Systems Approach to Near Surface Disposal Facility Design James H. Clarke and Joseph Rustick, Advances in Environmental Studies, April 2018. Waste Management ’17, Poster “Risk to Ecological Resources from Delaying Decommissioning and Waste Management: Conceptualization and Examples from the Hanford Site” Joanna Burger (lead author), Michael Gochfeld, David Kosson, James Clarke, Christian Jetner and Taryn Pittfeld. Invited participation : 100th Meeting and Conference for the National Library of Medicine National Institute of Health Scientific Review Panel, September, 2017, Washington, D. C.
“Evaluating Vulnerability of Critical State Park Infrastructure”, Kendra Abkowitz Brooks and James H. Clarke, Risk Management., 2015. “Application of a Proposed Generic LLW Waste Package Analysis With Changing Infiltration in a Humid Environment”, Joseph H. Rustick, Steven L. Krahn, David S. Kosson, Michael T. Ryan and James H. Clarke, Remediation, Summer 2016. “Background on the Current State of Decommissioning and Introductory Comments” James H. Clarke, American Nuclear Society (ANS) Division of Decommissioning and Environmental Science, Co-Chair Panel on the Decommissioning Regulatory Requirements for Nuclear Power Plants, ANS Winter Meeting, November 10, 2015. “Comparison of LLW Disposal Facilities at Major Department of Energy Sites”, Joseph H. Rustick, David S. Kosson, Steven L. Krahn, Michael T. Ryan, Craig H. Benson,and James H. Clarke, Remediation, Winter 2015. “Complexity of bioindicator selection for ecological, human, and cultural health: Chinook salmon and red knot as case studies “, Joanna Burger, Michael Gochfeld, Lawrence Niles, Charles Powers, Kevin Brown, James H. Clarke, Amanda Dey, David Kosson, Environmental Monitoring and Assessment 03/2015; 187(3):4233. “Environmental Assessment for Sustainability and Resiliency for Ecological and Human Health”, Joanna Burger, Michael Gochfeld, James H. Clarke, Christian Jeitner and Taryn Puttfield, invited paper, Journal of Environmental Studies, v1 no. 1, pp 1-8, 2015. “Evaluating the Collective Radiation Dose to Workers from the U.S. Once-Through Nuclear Fuel Cycle.” Krahn, S.L., A.G. Croff, B.L. Smith, J.H. Clarke, A.G. Sowder, A.J. Machiels, Journal of Nuclear Technology. 185(2):192-207, 2014. “Evaluating the Collective Radiation Dose to Workers from the U.S. Once-Through Nuclear Fuel Cycle”, Krahn, Steven, Croff, Allen, Smith, Bethany, Clarke, James, Sowder, Andrew, and Machiels, Albert. Health Physics Society Annual Meeting, 13-17, Baltimore, MD, USA, July 2014. “A Decision Analysis Tool to Support Planning and Decision-Making for Sustainable, Deployment-Oriented Research, Development and Demonstration (RD&D) of Advanced Nuclear Energy Technologies”, Krahn, Steven, Ault, Timothy, Gardiner, Andrea, Croff, Allen, Clarke, James, Machiels, Albert, and Sowder, Andrew International Congress on Advances in Nuclear Power Plants (ICAPP), Charlotte, NC, USA, April 6-9, 2014. “Estimating Worker Collective Doses from a Revised Approach to Managing Commercial Used Nuclear Fuel”, Smith, B.L., S. L. Krahn, J.H. Clarke, A.G. Croff, K.G. Brown, A. Machiels, A. G. Sowder, ANS Winter Meeting. (ANS). Anaheim, CA, Transactions of the ANS, 2014. “The Environmental, Health and Safety Risks of the Transition from the Present U.S. Once-Through to a Modified Open Nuclear Fuel Cycle”. Smith, B.L, S. L. Krahn, J. H. Clarke, K. G. Brown, A. Machiels, A. G. Sowder ICAPP, Charlotte, NC (ANS)., 2014. “Developing Operational Safety Performance Measures For Nuclear Chemical Facilities”, L. Fyffe, J. Hutton, J. Clarke and S. Krahn, Trans. of the American Nuclear Society, 14th International High Level Radioactive Waste Conference, pgs. 311-315, 2013. “Determining Environmental Impacts for Sensitive Species Using Iconic Species as Bioindicators for Management and Policy”, J. Burger, M. Gochfeld, C. W. Powers, J. H. Clarke, K. Brown, D. Kosson, L. Niles. A. Dey, C Jeitner and T. Pittfield, J. Environ. Prot. 4, 87-95, 2013. H. Clarke, and D. Kosson Intern J. Environ. Sci. Engineer. Res. 4, 31-51, 2013. “An Ecological Multidisciplinary Approach to Protecting Society, Human Health and the Environment”, Burger, M. Gochfeld, J. H. Clarke, C. W. Powers and D. Kosson, Remediation 23, 123-148, 2013. “Risk to Ecological Resources from Delaying Decommissioning and Waste Management; Case Examples from the.Hanford Site”, J. Burger, M. Gochfeld, M. Bunn, D. Kosson, J. H. Clarke, C. Jeitner and T. Pittfield, Waste Management Conference 17, Phoenix, AZ, 2013. “Habitat Protection for Sensitive Species: Balancing Species Requirements and Human Constraints Using Bioindicators as Examples”, J. Burger, M. Gochfeld, C. W. Powers, L. Niles, R. Zappalorti, J. Feinburg, and J. H. Clarke, Natural Science, 5, No. 5A, pp 50-62, 2013. “Near Surface Disposal Performance Assessment: Modeling Monthly Precipation and Temperature in Various Climate Environments”, Roneisha W. Worthy, James H. Clarke and Mark Abkowitz, Remediation Fall 2013. “Simulating the Impact of Cover Degradation on RCRA Landfill Performance”, Roneisha W. Worthy, James H. Clarke and Mark Abkowitz, Remediation Fall 2013. “Environmental, Health and Safety Aspects of Uranium Mining and Recovery.”, Smith, B.L., S. L. Krahn, J.H. Clarke, A.G. Croff, K.G. Brown, A. Machiels, A. G. Sowder ANS Winter Meeting Panel Session, Uranium Recovery and Reclamation, 2013. “Modeling the Environmental Health and Safety Risks of the Present U.S. Nuclear Fuel Cycle”, Smith, B.L., K. G. Brown, S. L. Krahn, J. H. Clarke, A. Machiels, A. G. Sowder, International High-Level Radioactive Waste Management.. Albuquerque, NM (ANS), 2012. “U.S. Chemical Safety Board Reports and Relevant Guidance for Nuclear Chemical Facilities”, L. Morgan, J. Hutton, J. Clarke and S. Krahn, , Trans. of the American Nuclear Society Winter Meeting, Vol. 107, pg. 307, 2012. “Assessment of Radiological and Chemical Risks of the Once-Through U-235 Fuel Cycle”, invited. Smith, B.L., J. Clarke, S. Krahn, A. Machiels, A. Sowder ANS Winter Meeting. (ANS). San Diego, CA, Transactions of the ANS. Vol. 107: pp. 129-132, 2012. “A Comprehensive Radiological and Chemical Risk Assessment of the Open Nuclear Fuel Cycle (Development of a Conceptual Model)”. Smith, B.L., S. L. Krahn, J.H. Clarke, A. Machiels, A. G. Sowder ANS Annual Meeting. ANS. Chicago, IL. Vol. 106: pp. 147-148, 2012. “Information Needs for Siting New and Evaluating Current, Nuclear Facilities: Ecology, Fate and Transport, and Human Health”, Joanna Burger, James H. Clarke and Michael Gochfeld, Environ Monit Assess. 172(1-4):121-34., 2011. 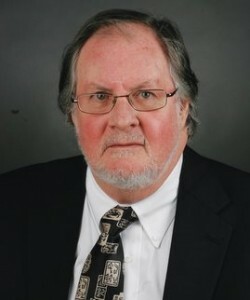 “A Revolutionary Masters Degree Curriculum in Nuclear Environmental Engineering”, Steven L. Krahn, David S. Kosson, James H. Clarke, presented at the 2011 Winter meeting of the American Nuclear Society, Washington D.C., November, 2011. “A Systems Approach to Teaching Radioactive Waste Management”, Steven L. Krahn, David S. Kosson, James H. Clarke, presented at the 2011 Winter meeting of the American Nuclear Society, Washington D.C., November, 2011. “Development of a Risk Informed Approach to D&D Priority Setting for Department of Energy Surplus Facilities” James H. Clarke, Charles W. Powers, Henry Mayer, and David S. Kosson, presented at the 2011 Winter meeting of the American Nuclear Society, Washington D.C., November, 2011. “Impact of Anthropogenic Climate Change on Near Surface Disposal Facilities”, Roneisha S. Worthy, Mark Abkowitz, Craig S. Benson, and James H. Clarke, presented at the 2011 Winter meeting of the American Nuclear Society, Washington D.C., November, 2011. “Analysis of Modeling Capabilities to Predict Disposal Facility Cover Design and Performance at DOE Sites”, Roneisha S. Worthy, Mark Abkowitz, James H. Clarke and Craig S. Benson, presented at Waste Management 2011, Phoenix 2011, February 2011. “Assessing the Importance of Ecological Processes through Biomonitoring and Ecological Forecasting at Nuclear Materials and Waste Sites”, Brooke Traynham, Joanna Burger and James H. Clarke, Radiological Assessment, Springer, 2010. “Development of a Risk-Informed Approach to Setting D&D Priorities”, James H. Clarke, Charles W. Powers and David S. Kosson, American Nuclear Society Topical Meeting and Technology Focus on DD&R, invited presentation, Idaho Falls, ID, August 2010. “Estimating the Frequencies of Drop Events During the Preclosure Emplacement Period at Yucca Mountain, NV”, Leah Spradley, Mark Abkowitz and James H. Clarke, Nuclear Technology v170, pp 322-335, May 2010. “Estimating Surface Facility Throughput During the Pre-Closure Emplacement Period at Yucca Mountain, NV”, Leah Spradley, Mark Abkowitz and James H. Clarke, v. 169, pp 180-194, February 2010. “Tool for Assessment of Process Importance at the Ground Water/ Surface Water Interface’, Ravi. C. Palakodeti,E ugene J. LeBoeuf and James H. Clarke, Journal of Environmental Management, 2009. “Monitoring the Long-Term Performance of Engineered Containment Systems: Role of Ecological Processes”, Brooke Trayhnam, James H. Clarke, Joanna Burger and Jody Waugh, Waste Management 09. “Evaluation of Transportation and Acceptance Strategies Associated with the Potential Yucca Mountain Waste Management System”, Leah L. Spradley, Mark Abkowitz and James H. Clarke, Nuclear Technology v. 165, pp 209-221 Feb 2009. ‘Life-Cycle Risk Analysis for U.S. DOE Wastes in Shallow Land Burial’, Kevin G. Brown, David S. Kosson, Charles W. Powers, James H. Clarke, and Frank L. Parker, Waste Management 09. “Improving Consistency of Performance Assessments in the U.S. DOE Complex”, Martin J. LeTourneau, Steven Khran, David S. Kosson, Charles W. Powers, James H. Clarke, Roger R. Seitz and Elmer L. Wilhite, Waste Management 09. “Monitoring the Long Term Performance of Engineered Containment Systems: What Can We Learn from Ecological Monitoring Approaches?”, Brooke Traynham and James H. Clarke, Waste Management 08, Phoenix, AZ (February, 2008). “Evaluating the Potential Impact of Using the Transport, Aging and Disposal (TAD) Canister on Yucca Mountain Pre-Closure Operations”, Leah L. Spradley, James H. Clarke and Mark Abkowitz, Waste Management 08, Phoenix, AZ (February, 2008). “Managing Residual Contaminants – Reuse and Isolation Case Studies”, Kevin M. Kostelnik and James H. Clarke, Remediation, Spring 2008. “Modeling Approaches for the Groundwater/Surface Water Interface: Critique, Challenges, and Needs for the Future”, R. C. Palakodeti, E. J. LeBoeuf, J. H. Clarke, C. R. Bartlett and N. R. Grosso, submitting editor requested revisions to the Journal of Contaminant Hydrology. “A Screening Tool for Determination of Process Importance Across the Ground Water/Surface Water Interface”, R. C. Palakodeti, James H. Clarke and E. J. LeBouef, Annual Meeting of the Geological Society of America, Denver, CO, October 2007. “A Comparison of Carbon Calculators”, Joseph P. Padgett, Anne C. Steinemann, James H. Clarke, Michael P. Vandenbergh, Environmental Impact Assessment Review, 28, pp 106-115, 2008. “State vs. Acme Manufacturing” invited participation as an expert in a Mock Daubert Hearing, annual meeting of the American Academy of Forensic Sciences, San Antonio, TX, February 2007. “Should Environmental Forensics Just Be About Liability For the Past, or Can It Help Us Avoid Liability in the Future?”, J. H. Clarke and K. M. Kostelnik, invited presentation, annual meeting of the American Academy of Forensic Sciences, San Antonio, TX, February 2007. “The U. S. Experience with Uranium Recovery and Remediation of Uranium Mill Tailings Sites” James H. Clarke and Frank L. Parker, presented in a workshop on Cleaning Up Sites Contaminated by Radioactive Materials, sponsored by the US Academy of Sciences and the Russian Academy of Sciences, Moscow, Russia (June 2007). “The U.S. Experience of Remediation of Uranium Mill Tailings Sites and Comparison with the Russian Experience”, Frank L. Parker and James H. Clarke, presented in a workshop on Cleaning Up Sites Contaminated by Radioactive Materials, sponsored by the US Academy of Sciences and the Russian Academy of Sciences, Moscow, Russia (June 2007). “A Mock Daubert Hearing based on New Mexico vs. General Electric”, played the role of the expert whose testimony is beng challenged, invited presentation National Ground Water Association Ground Water and Environmental Law Conference, Chicago, IL, July, 2006. “Engineered Containment Systems for Hazardous and Radioactive Wastes – Do Current Approached Present Opportunities for Future Environmental Forensics? The Need for Sustainable Long-Term Protection”, invited presentation National Ground Water Association Ground Water and Environmental Law Conference, Chicago, IL, July, 2006. “A Sustainable System for Residual Hazards Management”, K. M. Kostelnik, J. H. Clarke and J. L. Harbour, Proceedings of The Second International Conference on Prevention, Assessment, Rehabitation and Development of Brownfields Sites, Siena, Italy, June 2004. Performance and Verification of Barriers Through Prediction and Monitoring, C. Chien, A.Gatchett and G. Chamberlain (eds), contributor to Chapter One – Damage and System Performance Prediction, CRC Press, 2005. “A Review of the Literature on Institutional Controls with a Focus on the Management of Residual Hazards”, K. M. Kostelnik, J. H. Clarke and J. L. Harbour, submitted to Research in Social Problems and Public Policy. “Containment of Legacy Wastes during Stewardship” J.H. Clarke, L. G. Everett and S. Kowall, International Seminar on Nuclear War and Planetary Emergencies 30th Session, World Scientific Publishing Co. Pte. Ltd., 2004. “Engineered Containment and Control Systems: Nurturing Nature”, J. H. Clarke, M. M. MacDonell, E. D. Smith, R. J. Dunn and W. J. Waugh, Risk Analysis 24 (3), pp 771-779, June 2004. “The Integration of Engineered and Institutional Controls” J. H. Clarke and K.M. Kostelnik, , invited presentation, CRESP workshop on The Real Obstacle to Site Completion: Credible Post-Remediation Sustainable Protection at Contaminated Sites with Residual Waste, Washington D.C. January, 2006. “Energy – Challenges for Environmental Scientists and Engineers”, David S. Kosson and James H. Clarke, National Cross-Disciplinary Workshop in Engineering and Geoscience: Process-Driven Risk Assessment and Sustainable Mitigation Strategies, Nashville, TN, September 2005. “Decommissioning: 2005 and Beyond”, J. H. Clarke, presented to the Nuclear Safety Commission of Japan, Tokyo, Japan, May, 2005. “The Integration of Engineered and Institutional Controls: A Case Study Approach With Lessons Learned From Previously Closed Sites”, K. M. Kostelmik, J. H. Clarke and J. L. Harbour, Waste Management 05, Tucson, AZ, March, 2005. “Risk in Technically Severe Environments: Contaminant Isolation Facilities”, J. H. Clarke, K. M. Kostelnik, J. L. Harbour, F. Sanchez, F. L. Parker and D. S. Kosson, Annual Meeting of the Society for Risk Analysis, Palm Springs, CA, December, 2004. “The USEPA Regulations Governing Contaminated Site Investigation and Remediation “, presented to the Division of Waste Management and Environmental Protection, Nuclear Regulatory Commission, in a Workshop on Contaminated Site Decommissioning and Remediation, September, 2004 (invited presentation). “The USEPA Approach to Risk Assessment”, presented to the Division of Waste Management and Environmental Protection, Nuclear Regulatory Commission, in a Workshop on Contaminated Site Decommissioning and Remediation, September, 2004 (invited presentation). “The Integration of Engineered and Institutional Controls: Lessons Learned from Previously Closed Sites”, K. Kostelnik and J. H. Clarke, presented to the Workshop on Research and Needs for Durable Institutional Controls at Sites with Residual Contamination, Vanderbilt University, July 8, 2004 (invited presentation). Member of an independent peer review panel concerning potential safety issues associated with the use of sonic drilling to characterize buried wastes in the Subsurface Disposal Area at the Idaho National Engineering and Environmental Laboratory. Member of an independent peer review panel concerning the interim risk assessment performed for the Subsurface Disposal Area at the Idaho National Engineering and Environmental Laboratory. Comments on 2015 Proposed NRC Low Level Waste Rule 80FR16082, July 24, 2015, with David Kosson (VU), Craig Benson (U. Wisc), Kathy Higley (Oregon State U. ), Charles W. Powers (VU), and Richard B. Stewart (NYU Law School) on behalf of the Consortium for Risk Evaluation with Stakeholder Participation (CRESP) of which VU is the lead Institution.